Bulgarian police detained about 120 people, believed to be Syrian refugees, on a road near the entrance to Sofia in the early hours of the morning on June 29, the Interior Ministry said. 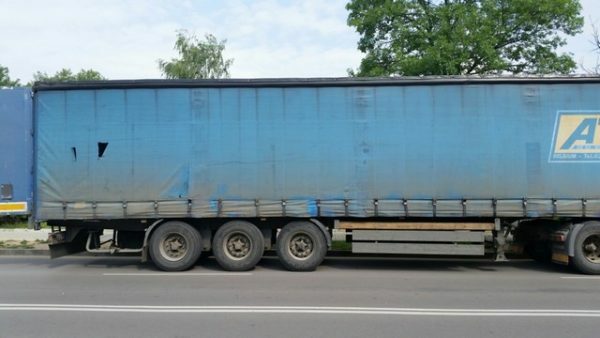 The illegal migrants were found travelling in goods lorries and other vehicles. The 97 found hiding in lorries included 32 children, the ministry said. A lorry was stopped first. Police also stopped two cars, both driven by people who have Bulgarian citizenship. One of the cars tried to hit a police car, endangering the life of a police officer, but was stopped soon afterwards. All the vehicles had been impounded. Pre-trial proceedings had been initiated, during which confirmation would be sought of the five drivers who had been taken into custody, the ministry said. Medical assistance had been provided to the migrants, who had been taken to the eighth regional police department. Police had been in wait on the road, an old route near the village of Lozen, suspecting that it was being used by people traffickers trying to avoid police by travelling in the early hours on a route other than the highway. Sofia police chief Mladen Marinov said that it was likely that the group was trying to travel to countries in Western Europe.